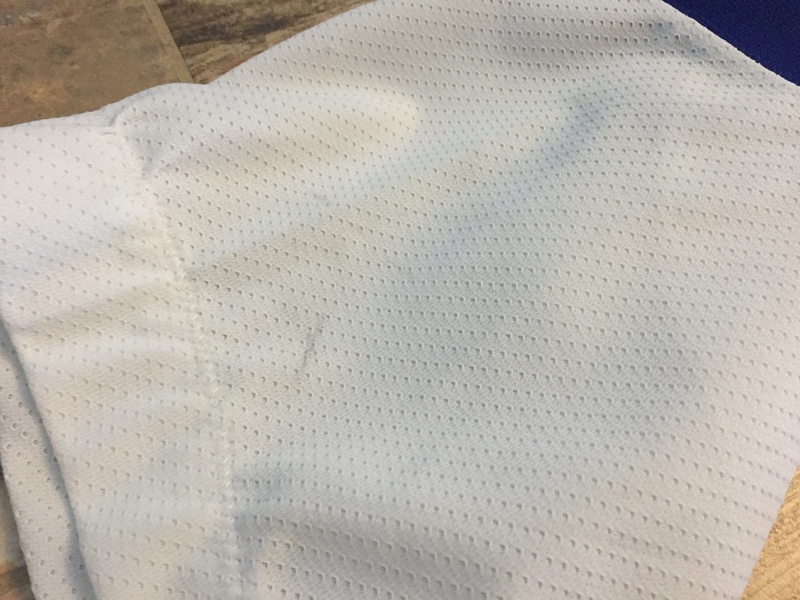 Nice wear. 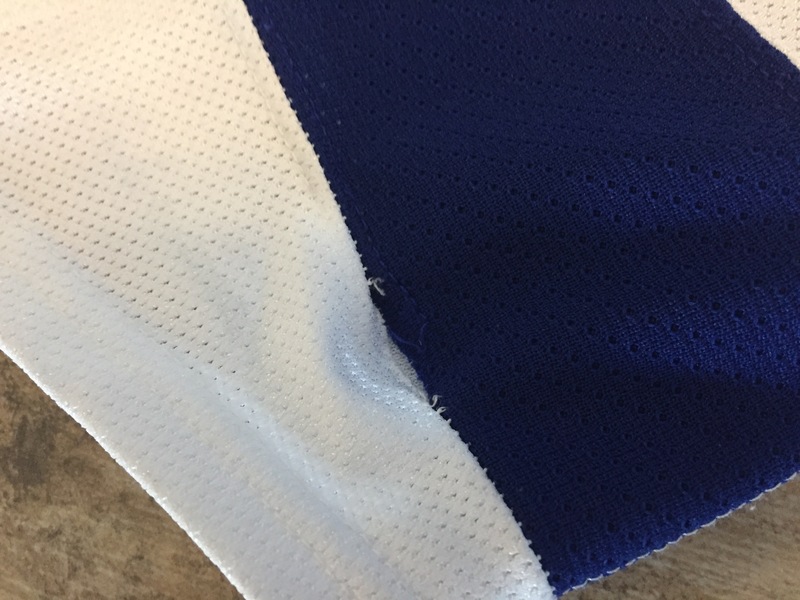 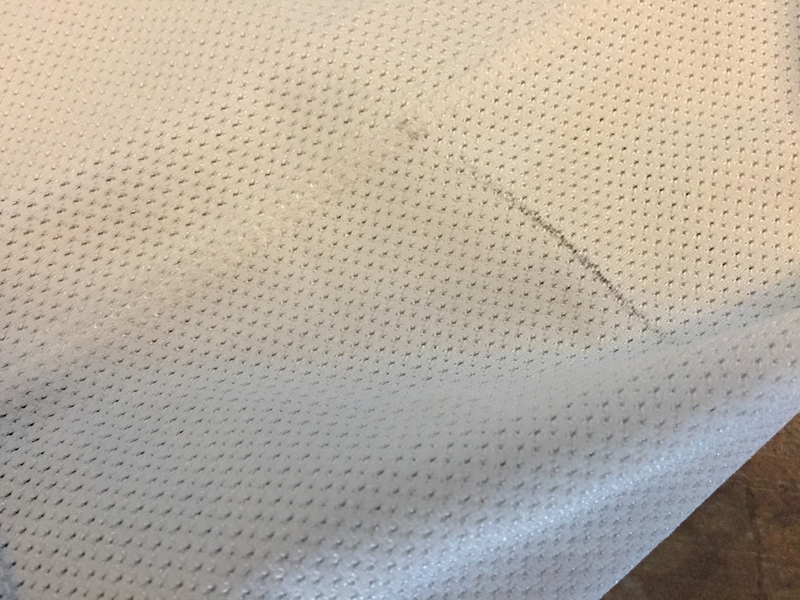 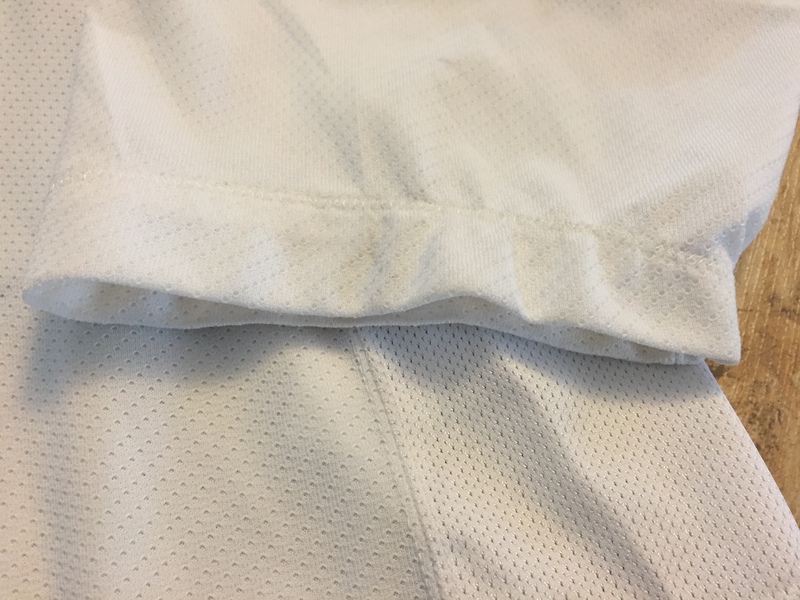 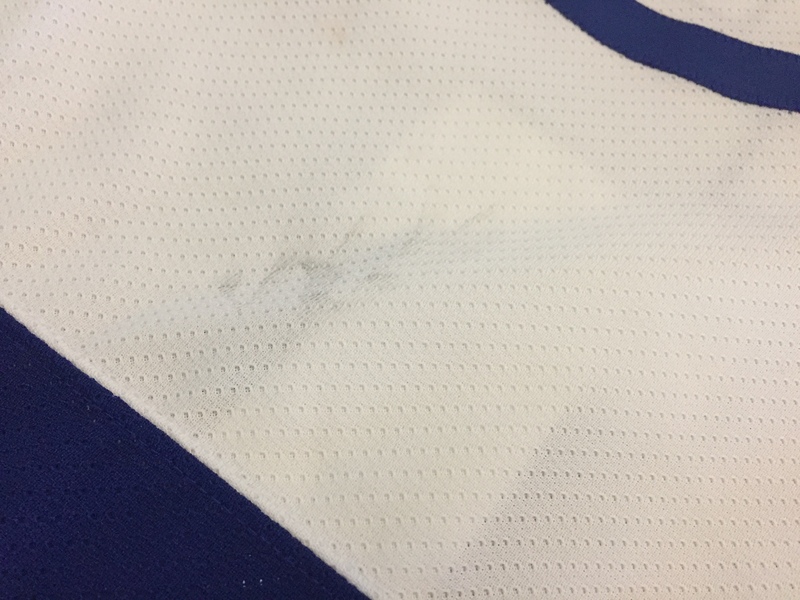 There is a small hole on the shoulder, a rip on the blue waist stripe, and two repairs on the left sleeve. 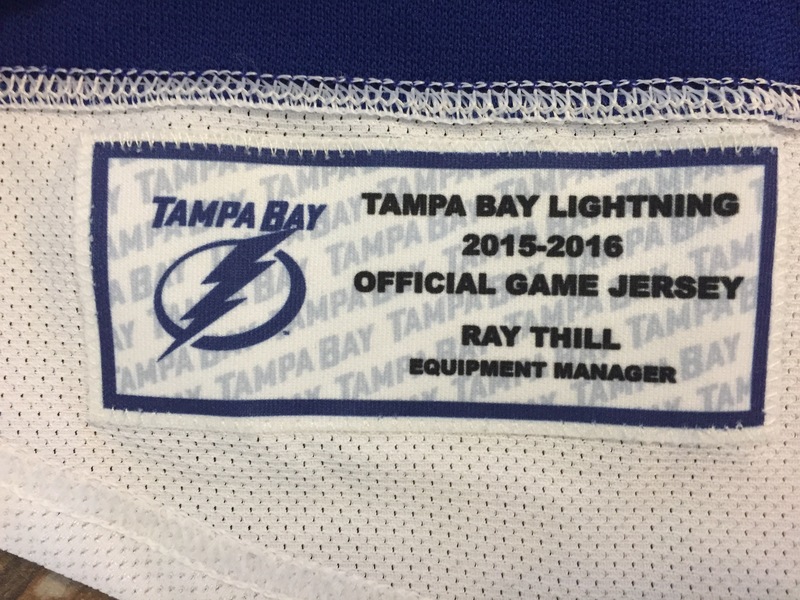 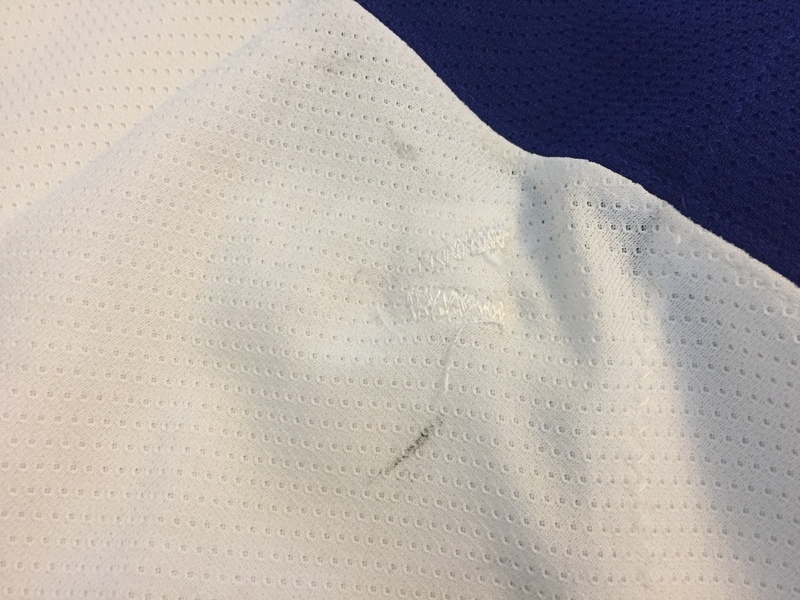 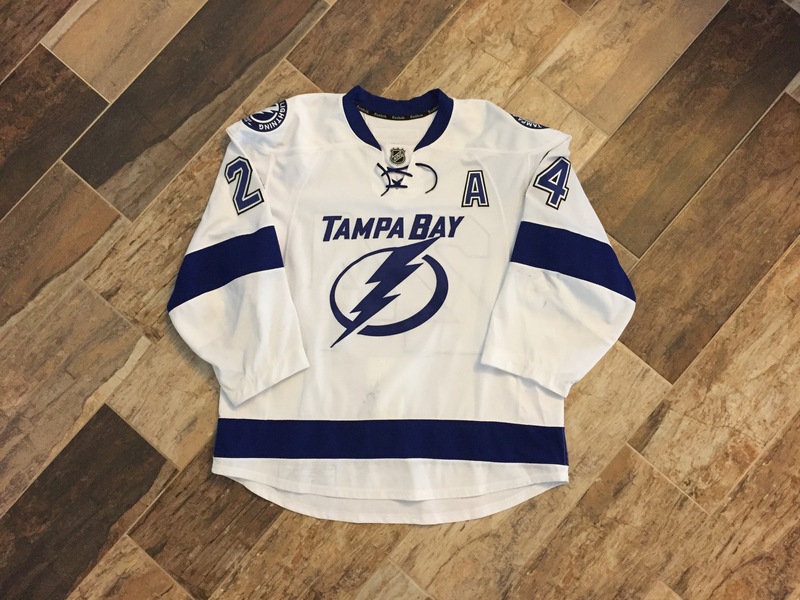 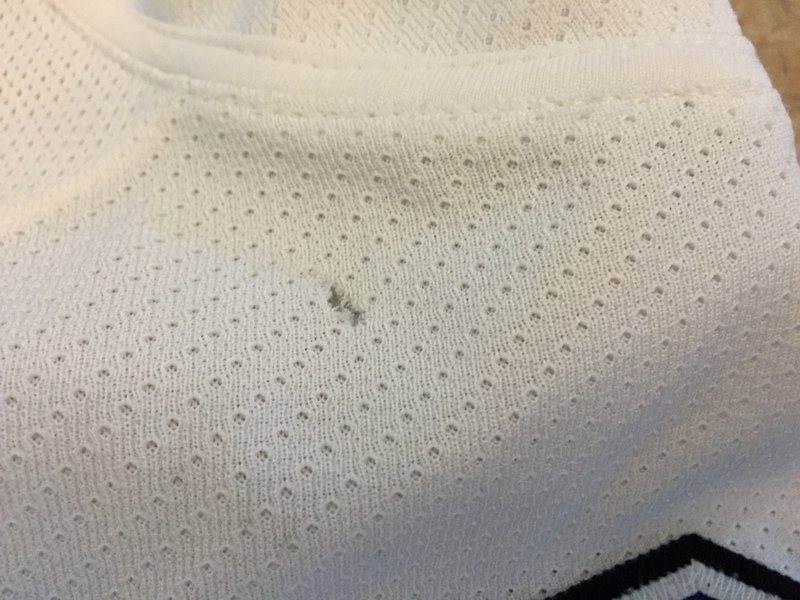 There are black marks scattered around the jersey. 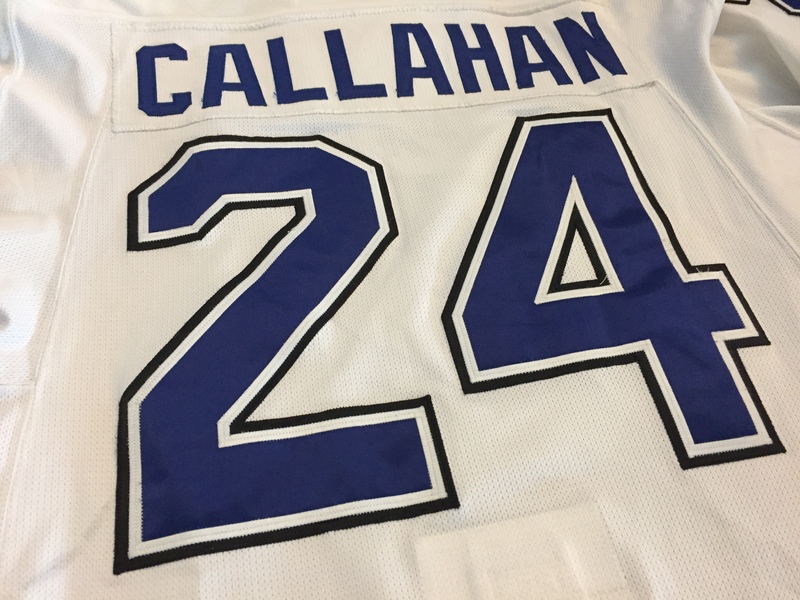 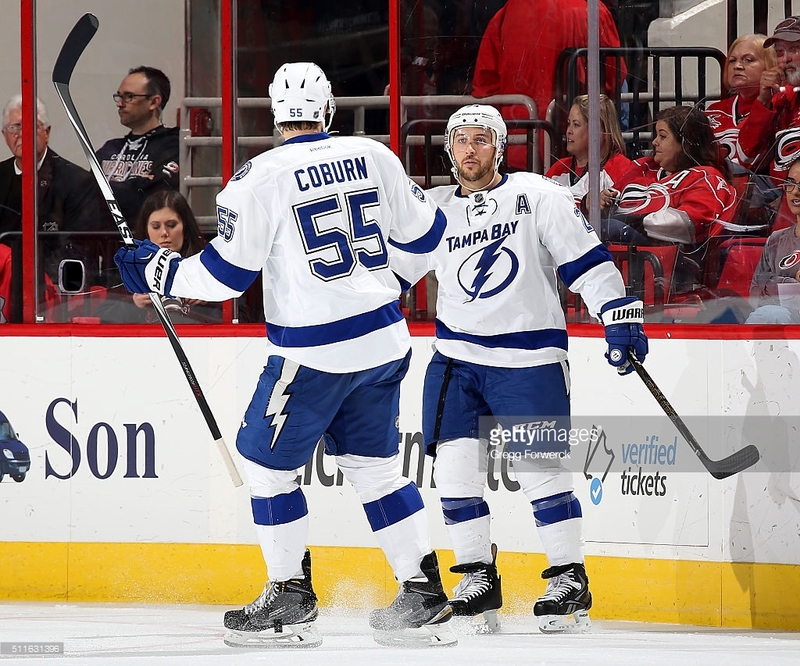 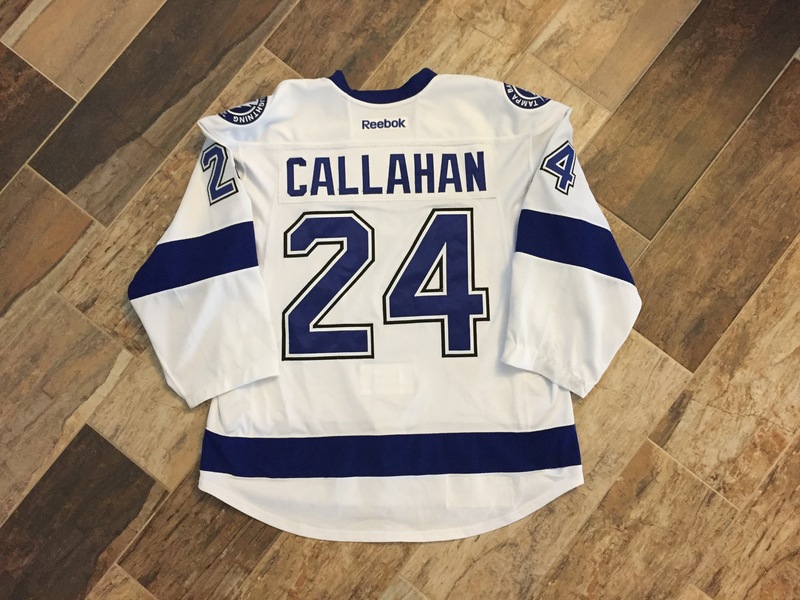 Jersey also has the alternate captain’s A.
of the Carolina Hurricanes of the Tampa Bay Lightning during an NHL game at PNC Arena on February 21, 2016 in Raleigh, North Carolina.